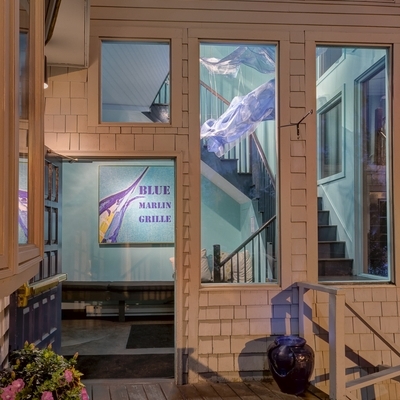 Blue Marlin Grille Restaurant & Bar Lunch and Dinner Menus, News & Events. Make your way to the Marlin this St. Patrick’s Day weekend for an Irish feast! Corned Beef, Cabbage, Guinness, Green Beer & Irish Coffee are all in the works – hope to see you there! Here’s one for the winter survival kit … perfect for sharing! Hungry after all that shoveling? Come join us for a big juicy BURGER or a yummy bowl of Chef Jay's Broccoli Cheddar Soup -- on the Daily Specials Menu TODAY! Making Your New Year’s Plans? Ring it in at the Marlin! We will be OPEN New Year's Eve 12/31 & New Year's Day 1/1 during regular hours. 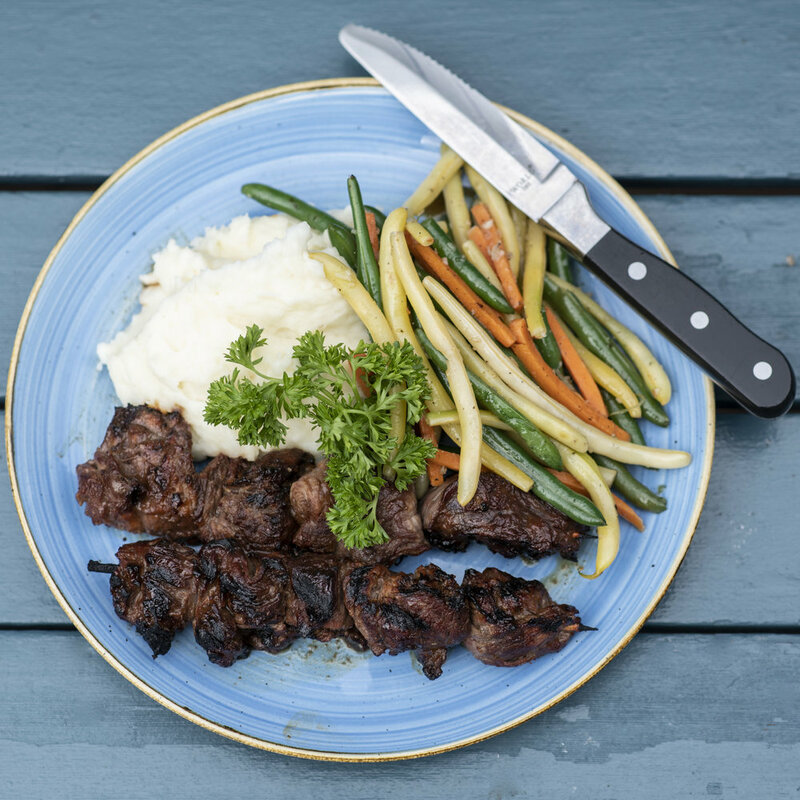 Come enjoy some steak tip skewers & let the celebration begin! Planning a special event over the holidays? 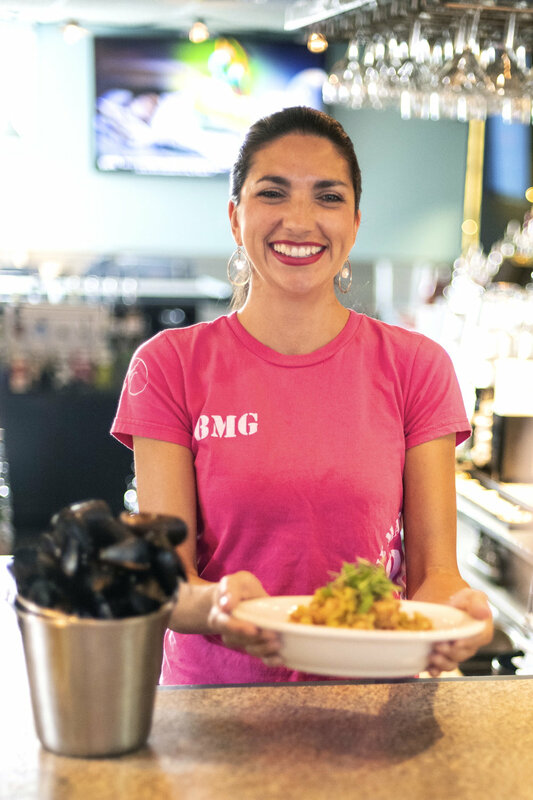 Blue Marlin Grille is a great place to host your party for family, friends, community or work events. Our Chefs are proud to offer a menu full of delicious choices carefully prepared to please everyone at the table! For booking & additional information call Will at 978.768.7400. Come try this year-round-salad fan favorite & add a little heat with some buffalo chicken on top! 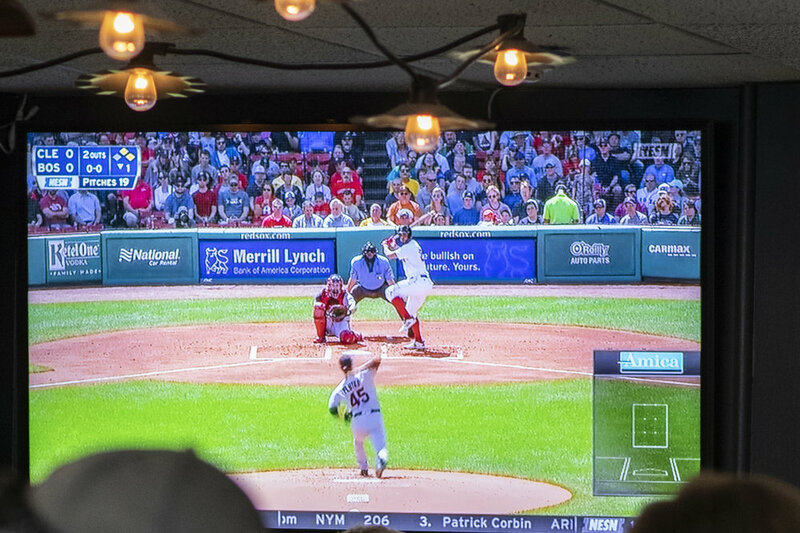 Come to the Marlin and savor some of our warm-weather favorites … cocktails & appetizers at the bar, baseball on the big screen & one of Chef Jay’s spectacular fried seafood plates - loaded with fried Essex clams, haddock & shrimp. Perfect for sharing! 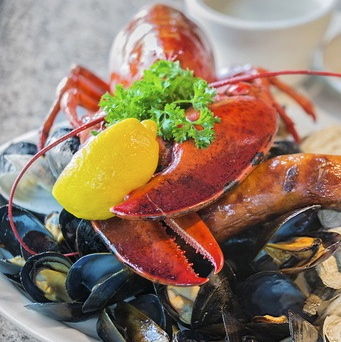 It’s time-honored tradition to open the Lobster Specials Menu & kick off summer at the Marlin! Our lobster is always freshly shucked & made to your order - steamed, baked & stuffed, in a pie, clam bake or on a roll - come try! It's time to kick off summer at the Marlin! Staying Local for School Vacation Week? 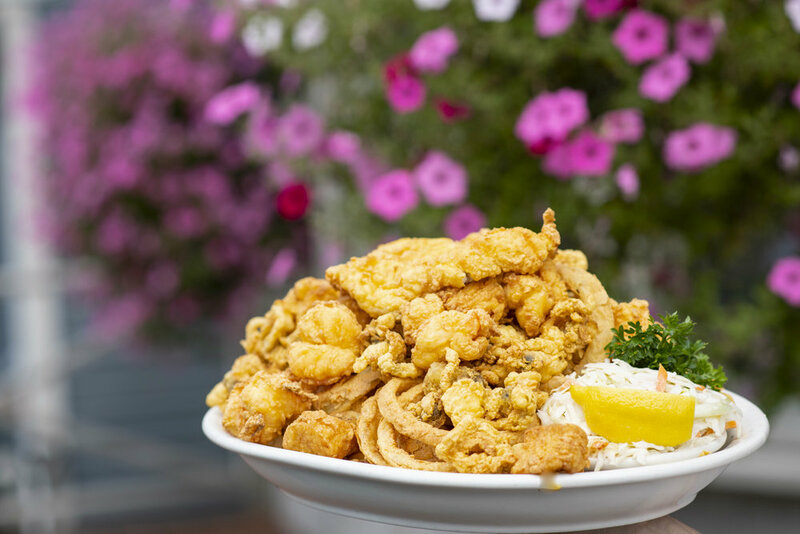 Pack your family in the car & take a trip to the Marlin! Our Kids Menu features 12 meals for Kids Under 12 … with an all-star line up of favorites like fresh Baked Haddock, Mac & Cheese, Pizza & more! 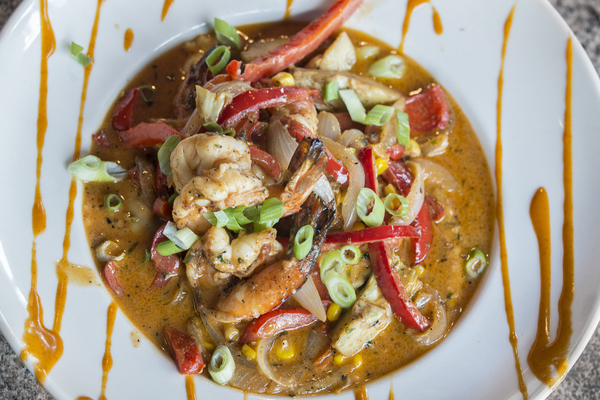 Check out our lunch and dinner menus online and be sure to come early – we look forward to seeing you soon! Blue Marlin Grille is OPEN TODAY during regular hours with building updates complete! Come join us for lunch, dinner OR awesome drinks & festive appetizers at the bar. Coconut Shrimp … Fried Pickles … Potato Skins … warm Artichoke Hearts ... and SO much more… We look forward to seeing you!